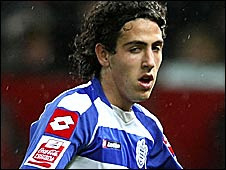 Daniel Parejo's loan at QPR has ended after Real Madrid recalled him to help with an injury crisis. 'Parejo played 18 games for QPR during an impressive spell at the London club.' ??!!?? I have made no secret on these pages that I am not his biggest fan and certainly, Christmas has come early for me. However, I do actually think there is indeed a quality player in Daniel Parejo and I wish him well. I hope he is able to do well back home. It was exciting to have QPR mentioned in the same sentence as Real Madrid though, part of a real burst of optimism when her arrived over the summer.